You work very hard for your money, and therefore you earn the right to take your time and decide how you feel that it should be spent. Unlike some of our competitors, we do not try and push asphalt sales. We respect the fact that our customers want to get a quality blacktop job at a good price. It is our goal to simply inform you as much as possible about what our paving company offers. We believe that an informed customer makes a happy customer. This is why we have an extensive asphalt reference library for you to look at. 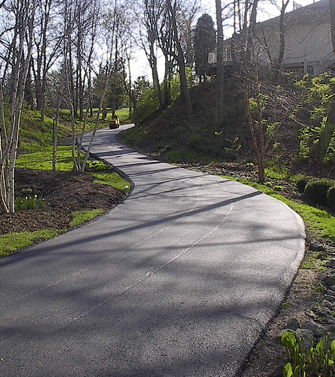 We provide pictures of our work so that you can physically see the results of a 1-800-ASPHALT blacktop paving job. We also try to provide addresses to locations so that you can actually go and view the asphalt paving work in person. We have several different asphalt reference galleries, including driveways, parking lots, and streets. Simply click on one of the above links and take a look at the scope of blacktop paving work you are interested in. We understand that many individuals are hesitant about hiring a new asphalt paving contractor due to bad experiences in the past. This is why we have gone to great lengths to assemble this asphalt paving reference gallery. We want you, our potential blacktop client, to be completely comfortable with our paving company before you sign on the dotted line. We encourage you to take the extra time to viw our past asphalt paving work in person. If you do not see an asphalt paving reference close to where you are located, please call our office? We have done work around the entire Cincinnati/Dayton area. Most likely, we will be able to provide you with a recent job performed in your area. Simply click here to go to our contact page. Simply move your cursor over the image to view another picture of the job.